Hyde Park, NY – To help future foodservice and hospitality leaders serving our nation make the transition from the military to college, The Culinary Institute of America (CIA) has a new member of its admissions staff dedicated to assisting veterans in planning for their post-military careers. Eric Jenkins, 47, enrolled at the CIA after serving in the U.S. Army from 1984 to 2008. He earned his bachelor's degree in culinary arts management earlier this year and will now help guide fellow service members and veterans through the application process. From firsthand experience, the retired Sergeant First Class can explain how to obtain Post-9/11 GI Bill and Yellow Ribbon Program benefits to provide them with a bachelor's or associate degree education at the CIA. Sgt. 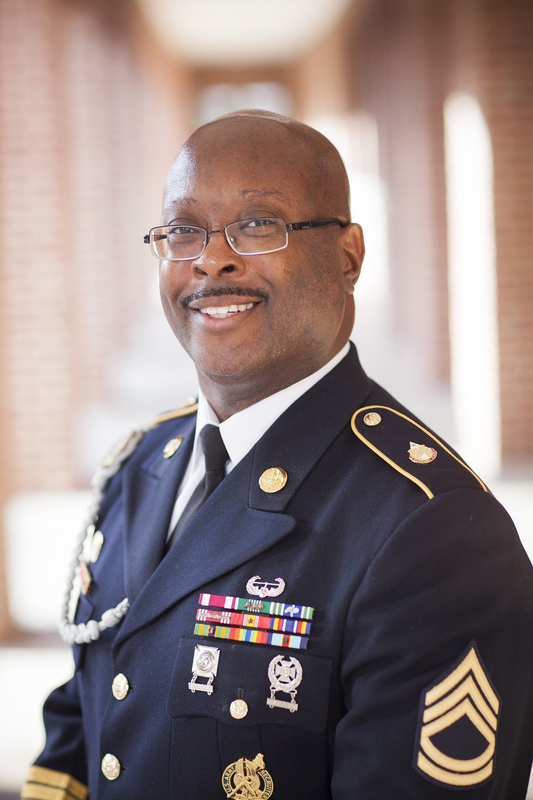 Jenkins also serves as the staff advisor to the Veterans Association & Auxiliary student organization on campus. He was president of the group as an undergraduate. An admissions counselor dedicated to veterans is needed at the CIA, where 126 current students have served on active duty in the U.S. Army, Navy, Air Force, Marines, or Coast Guard. "Veterans bring to their CIA experience a more mature attitude, driven focus, attention to detail, and natural leadership skills that are a direct result of the discipline they receive during their military service," Sgt. Jenkins says. "This is a great opportunity for our younger students, who should look to veterans as role models within the classrooms and kitchens." Jenkins is the second person to hold this position. Taylor Picone, a member of the Pennsylvania Army National Guard, was called to active duty in 2012. He recently returned from a year-long deployment in the Middle East and will now serve as the CIA's admissions counselor for the Mid-Atlantic states. The CIA's commitment to America's service members goes back to the college's founding in 1946, when the first class of students consisted of World War II veterans studying with the support of the original GI Bill. For more than six decades, the college has worked closely with all branches of the U.S. military, providing culinary training for active service members and college education for those beginning their post-military professional careers. Information for veterans interested in enrolling at the CIA can be found at www.ciachef.edu/veterans.